Halloween er det engelske navnet på allehelgensaften, det vil si natta før allehelgensdag, som er den katolske minnefesten for helgener og martyrer. Ifølge engelsk tradisjon feires Halloween om kvelden den 31. oktober, dagen før 1. november, mens allehelgensdagen eller «helgemesse» i Norge er lagt til siste lørdag i oktober, ifølge Wikipedia. Halloween is the English name of allehelgensaften, that is, the night before All Saints Day, which is the Catholic commemoration of saints and martyrs. According to English tradition Halloween is celebrated on the evening of October 31st, the day before the first of November, while All Saints day or the "weekend fair" in Norway happens the last Saturday in October, according to Wikipedia. Halloween har på 1900-tallet særlig blitt markert i USA der utkledde barn går fra hus til hus og tigger godteri med ordene trick or treat, knask eller knep. Knask gir godterier, knep en eller annen form for ablegøyer. I dag er skikken blitt utbredt også i andre deler av den vestlige verden, der verken allehelgensaften eller -dagen har vært viktige festdager tidligere. Halloween has from the 1900s especially been highlighted in the United States where costumed children go from house to house begging for candy with the words trick or treat, knask eller knep. Treat gives candy, trick a kind of prank. Today, the practice has become widespread in other parts of the western world, where neither Halloween or the day had been a major party day earlier. Last edited by Raufoss on 2011-10-31, 18:34, edited 2 times in total. As late as 10 years ago, Halloween was a fairly unknown phenomenon in Norway. Today, it’s celebrated by young and old alike, and has turned into big business for the retailing community. The Norwegians have also managed to create their own version of “trick or treat,” for better or worse. Jeg var i kontakt med tre venner i Norge i morges. Mine venner i Ålesund og Stabekk feiret Halloween og min venn i Arendal var bare slappe av med et glass rødvin og ignorerer Halloween. I was in contact with three friends in Norway this morning. My friends in Ålesund and Stabekk celebrated Halloween, but my friend in Arendal was just relaxing with a glass of wine and ignoring Halloween. Noen andre venner i Oslo-området har vært til Halloween kostyme parter i løpet av helgen. Gjorde du noe spesielt å feire Halloween i år? Some other friends in the Oslo area have been to costume parties this weekend. Did you do anything special to celebrate Halloween this year? Remember that nouns put together cannot stand alone Halloweenfester(-party) is what we ususally call them, but Halloweenkostymefester would probably work too. It's not celebrated much where I'm from. We got one group of kids on the door every year, but we generally don't even know it's Halloween. It is, however, pretty evident that what is making this popular are the stores who use Halloween as a reason for sales and so forth. It seems to be heavily celebrated here in Oslo, since there have been Halloween parties going on since Wednesday at least. As I exited elementary school in 2005, the tradition of julebukk disappeared. At the same time, people started walking around in costumes at Halloween, but we never knew. And since we don't usually have any candy lying around, we just tell them we didn't know - which is the truth. I have a feeling Halloween is more of an excuse for adults, teenagers, and others to throw a party. At least it's a big thing among students, but it's never been among kids as much I think. Aleco wrote: Remember that nouns put together cannot stand alone Halloweenfester(-party) is what we ususally call them, but Halloweenkostymefester would probably work too. I wasn't sure at all about how to write "Halloween costume party" so I cheated and used Google translate and that is how I ended up with Halloween kostyme parter. 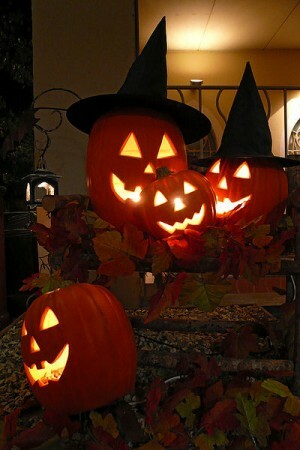 Aleco wrote: I have a feeling Halloween is more of an excuse for adults, teenagers, and others to throw a party. At least it's a big thing among students, but it's never been among kids as much I think. I agree with you Aleco. The best Halloweenkostymefester I have ever been to was in Oslo two years ago. Last edited by Raufoss on 2016-10-31, 20:53, edited 1 time in total. Det er mye man kan gjøre i Norge denne Halloween-helg. Jeg er nysgjerrig på å vite hva Halloween var som i Norge i år, spesielt i Oslo på en fredag ​​kveld. En kvinne i Stavanger tror at Halloween er en type terrorisme. STAVANGER: That ghoulish time of year is here again. Norwegians have a love-hate relationship with the festival. Den nylige Halloween ferie som er så populær i USA var alt, men ukjent i Norge så sent som på 1990-tallet. Nå er det blitt "big business" (stor forretning) for lokale forhandlere, med nordmenn kollektivt tilbringe så mye som 260 millioner kroner på den, i henhold til de nasjonale forhandlere foreningen Virke. 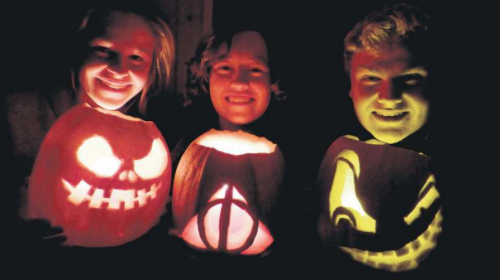 The recent Halloween holiday that’s so popular in the US was all but unknown in Norway as late as the 1990s. Now it’s become big business for local retailers, with Norwegians collectively spending as much as NOK 260 million on it, according to the national retailers’ association Virke.